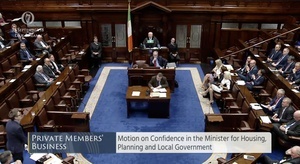 Journalist Ken Foxe is reporting that almost €930,000 was spent on commemorations and events for the 100-year anniversary of the first sitting of Dáil Éireann. 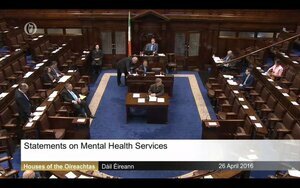 One of the costs was €180,000 on the dail100.ie website. Mr Foxe obtained the information through a Freedom of Information request. Throwing Alan Under The Bus Mental Corporate Enforcement Who Said That? 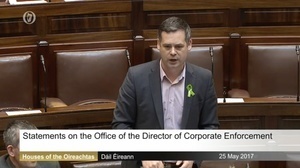 Posted in Misc and tagged Centenary, Dail, Ken Foxe at 2:55 pm on March 20, 2019 by Bodger. €152,478 in website “build costs”. Excuse me? HTML = How To Make Loads. €185k all-in for the website which hasn’t had enough traffic to merit an Alexa rating. That is some spectacular waste of my money. Doesn’t everything in Ireland cost multiples of what it would cost elsewhere. It’s the only World Cup we’d have a chance of winning in my lifetime…. You don’t think Joe can turn it around so? Who built this site? campaignforleo?? Exactly the kind of thing that you would expect for this kind of jamboree! The fact is that people kind of want their government to commemorate stuff, in a decent, but not ostentatious way. What happened is exactly that. People aren’t fools, and this stuff just serves to fill newspaper space. If you want you can go live in some libertarian paradise (try Somalia) where there is no one around to spend tax money on historical commemorations, but there are other downsides. Exactly. It was a major commerative event for a nation of 5 million people. It’s going to cost more than your average wedding. The real loser here is the harpist. Shockingly underpaid. Maybe she didn’t know the right strings to pull? €200 for a harpist to play at the ceremony is very good value. Spare a thought for poor auld Dan Boyle. He got nuffin! Absolutely nuffin at all! No meal, no accommodation, no train fare, no hat, no pen, no tote bag, no centenary folder, no pin. Nuffin at all! it’s been like this with every government. it’s not their money so they don’t care. they don’t haggle, shop around, none of that. i remember in the paper years ago, early 00s i’d say, they had a breakdown of expensive stuff the gov paid for. one item was one of those plastic bins shaped like a giant frog you see outside shops. priced at €273. I looked it up and you could get them for €60. everyone overcharges when the gov. come looking for stuff, btu the problem is the gov. just agree because.. they. dont. care. and its not just for these events, this is across the board with everything. from commemorations to childrens hospital. Do you think 200 notes for a Harpist is expensive? 400 quid for a classic car rental? Do you really think that this is an example of big government squandering money? usual silly billy boo boo response. no i don’t, rotide. but there were a lot more things listed. you’re only naming off the cheapest bits. Sorry for my ignorance but was this put out to tender? Which TD’s son won the contract? That’s a shocking amount of money. Although they spent €3+ mil on JobsIreland site and still haven’t fixed it after 3 years. Poor form picking out the harpist in the list of shocking expenditure. Surprising that the €5k spent on a dinner for journalists wasn’t the main talking point. €200 for a professional musician, or even an amateur one is nothing! They could have spent more money on an editor. 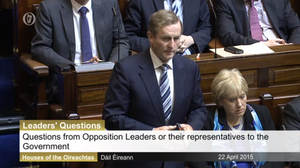 They’ve spelled the name of one of the first TDs incorrectly. I’m a little confused here. Barring the website costs and one or two others, most of these sums are exactly what one would pay for these things. Again, barring the website, there’s no sign of much overspend here? Absolute value for money so it was, so stop asking questions you fools! This actually all seems pretty reasonable, apart from the website. Thats extortionate. The site should have cost at absolute most about a third of that. And that would be an expensive site, even at that price. I wonder does that price include the translation of the content into Irish. That can be very expensive . 8c per word – I’m in the wrong racket.